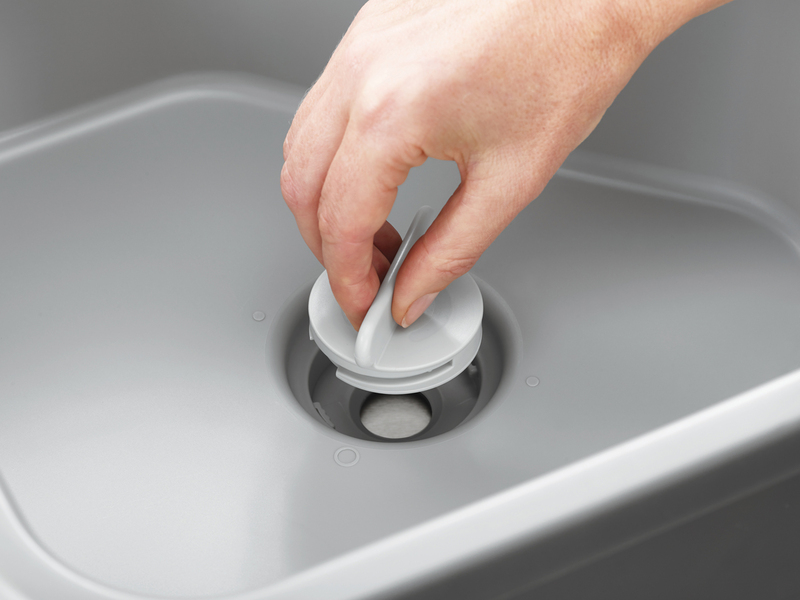 “This basic piece of kitchen equipment is given a stylish and practical update with this smart, thoughtful design. 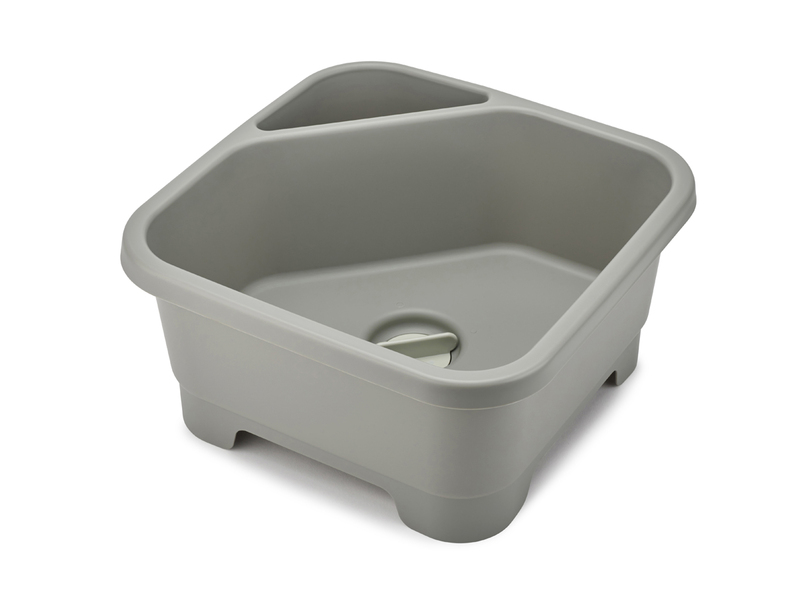 It has an integrated plug which means water can be quickly drained away, eliminating the problem of lifting and emptying a heavy bowl. 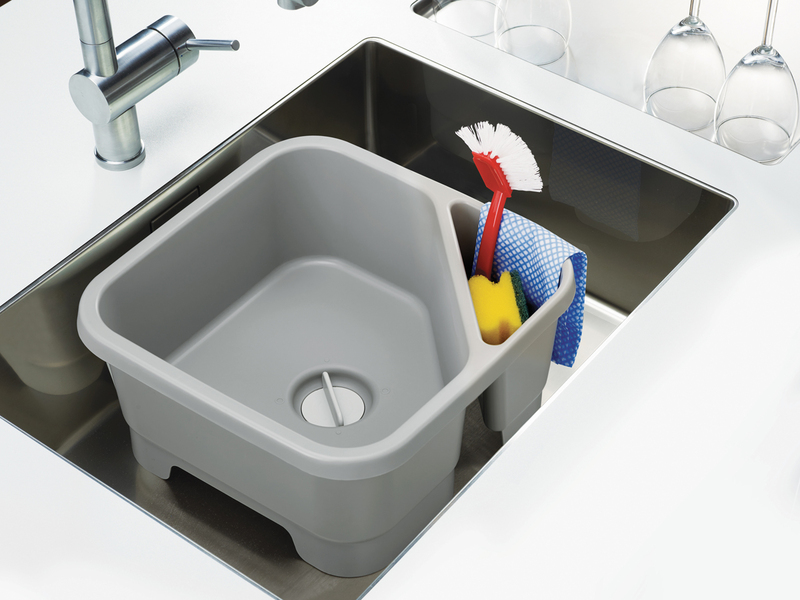 This washing up bowl includes an integrated draining compartment for cutlery, sponges or a brush.